Where do I get my Tax Invoice? How do I find you? Where’s your phone number? What courier system do you use? Can I pick up my item from your warehouse and save on postage costs? Can I use my own courier to pick up from your warehouse? I’ve received the incorrect item/My item is missing parts/My item is faulty? I have something to ask about a product, who do I ask? For new customers, you can complete your details as a guest, or register as a user. For returning customers, you will be able to skip this process by logging in with your registered username/password. Choose your desired payment method from the available options and complete your order. Tax invoices are attached to every sent item purchased, and you will also receive a purchase order via email when ordering online. You can cancel or change your order before you have submitted your payment. Once the order is submitted, it goes straight to our warehouse for processing. If you wish to change or cancel your order after payment, please email us as soon as possible so that we can assist you with this. If the item has already been shipped, charges will apply for cancellation and changes. You can call us on 02 8411 1005 or 0432221952 to discuss matters further. We endeavour to ship your order as soon as possible. After we have confirmed your payment, we strive to dispatch your order within one working day. We express post all small items and register those that don’t fit in a bag so 1 -2 day delivery time on most items. 2-5 day shipping for the rest (unless in rural areas). All items will be shipped via Northline, Tasfreight or Australia Post. Every item including items couriered come with a tracking number. (that will be emailed to the customer so they can track its progress). We are more than happy to pack the item/s up for the customers’ own courier to pick up. Unfortunately, we don’t ship internationally but we do ship Australia wide. Please contact us straight away and we’ll assist you to resolve this in the quickest way possible. 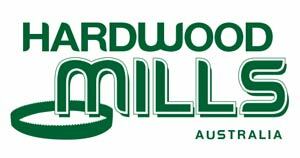 Please contact us via email or phone: sales@hardwoodmills.com.au or 0432221952. PAYPAL, EFT, EFTPOS, Money Order, Cheque or Cash on pickup. Please be aware that cheque payments take longer to clear and take approximately 3 to 5 days for processing.